Quarto. 248 pp, over 600 illustrations in color & b/w; bibliography; index. Patterned boards with dustjacket. Fine/Fine. 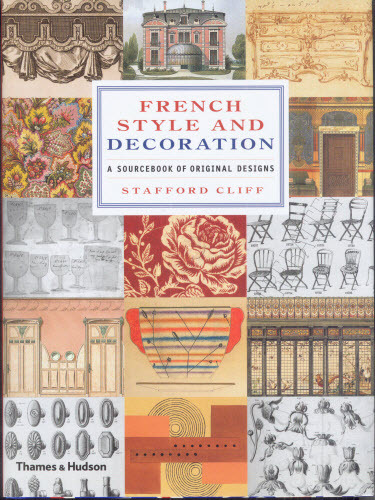 This profusely illustrated reference offers a panoply of original sketches, engravings, and printed patterns, representing French interior design and decoration from the Baroque, Rococo, Louis XVI and Empire periods, through the 19th century to Art Deco and modernism in the 20th century.